The hamsa, a palm-shaped amulet, is a universal sign of protection. 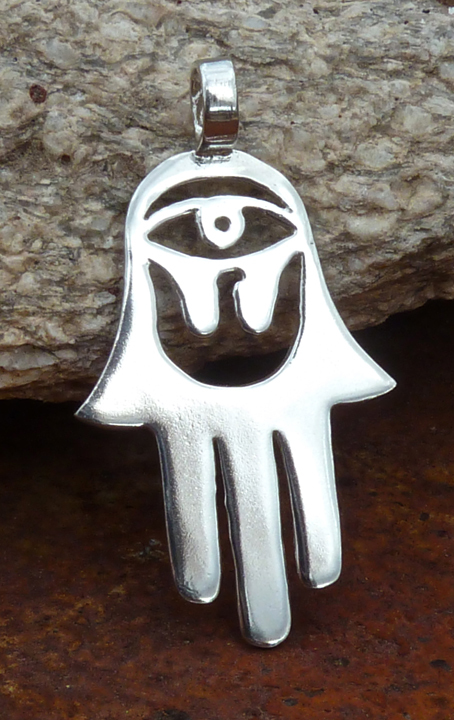 Artist Lynn Rae Lowe of Metal Arts Village in Tucson, AZ, approached me to make a pendant from her hamsa design. I enjoy collaborating with other designers, and look forward to making more pieces with Lynn Rae in the future. See, I told you that connecting with LynnRae would be a great thing!